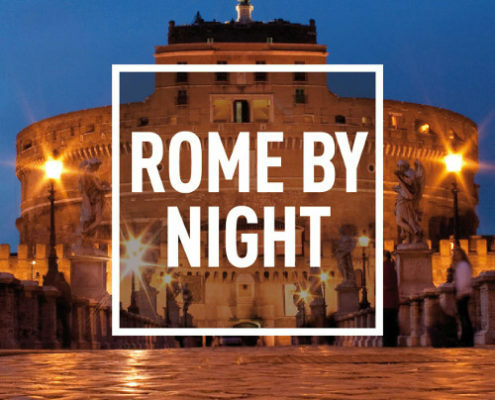 Highlights: Experience the Eternal City and its world famous sights by night. See architecture of over 2,000 years shining in incredible illumination! Highlights: The Appian Way is a remarkable archaeological work. Explore numerous historical highlights along this 2,300-year-old road! Book Your Rome Bike Tour In English Now! 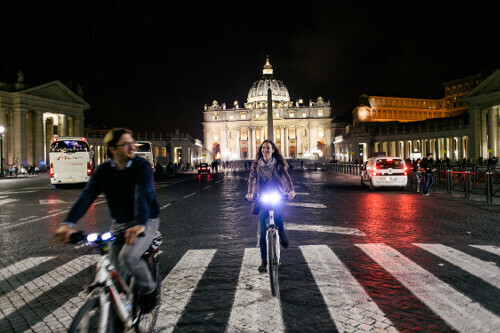 Discover Rome on our bike tours in the historic center during the day or in the enchanting twilight hour. 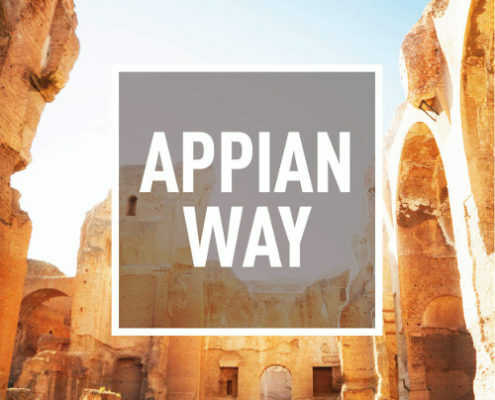 Our Appian Way tour will take you through districts yet untapped by tourism passing breathtaking aqueducts and natural reserves. Cycle around comfortably on our new bikes and see all the historical monuments. Each bike excursion offered by Rex Tours is an unforgettable family experience. Thanks to our small group policy we can take care of of each participant. Local English speaking tour guides will answer all your questions during the tour! A maximum of eight participants guarantees an individual and intense bike experience! Our bike tours are perfect for families! Your kids will love our cool bikes and funny tour guides. Please let us know via email if you plan to bring children who are younger than 10 years old. Before each tour we will have a short training session to ensure all participants feel confident and ready to go. According to our policy we put quality before quantity. This way we make sure our guests enjoy our bike tours in small groups with maximum 8 people. You will have the opportunity to ask questions and take photos during all our tours. For an even more personal experience you can also book our bike tours as private tours. Book two of our bike tours and save 10% of the full amount. 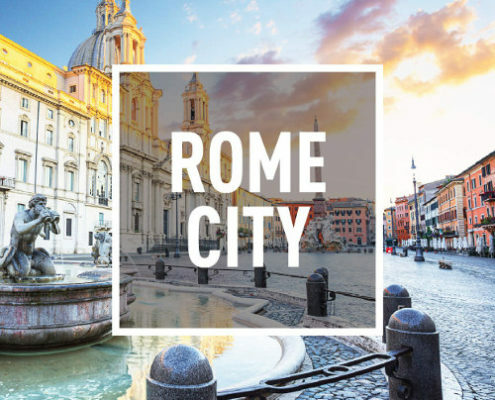 This is a wonderful opportunity to see as much as possible of Rome during our diverse tours. All of our bike tours can be also combined with Segway tours or our culinary tour. Don’t miss out! 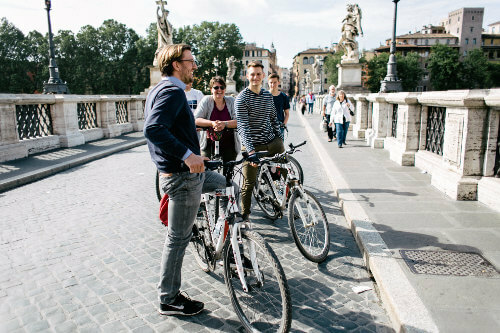 All our Rome bike tours include the bike, helmet, insurance, tour guide and a 0.5 l bottle of water for each participant. Your transport to the meeting point will not be included in the tour price. You will be provided with detailed directions to our shop. Our tours will take place in case of light rain. We will provide all our guests with ponchos. In case of heavy rain we will postpone your tour if possible. Otherwise we will reimburse your eventual down payments. We recommend you to contact us via email or give us a short call in case of bad weather conditions on the day of your tour. Book Your Rome Bike Tour Now!